On my way home from "The Holy War" down in Provo, I heard Max Hall's comments live on the radio. I was pretty upset with what Max Hall had to say. I am a huge Ute fan and graduated from the University. I have lots of respect for BYU. I grew up in a home that was dominated by BYU fans. I have no hard feelings to the University. However, I must say that his comments were out of line and I wanted to sum a few points about the comments. "I don't like Utah. In fact, I hate them â I hate everything about them. 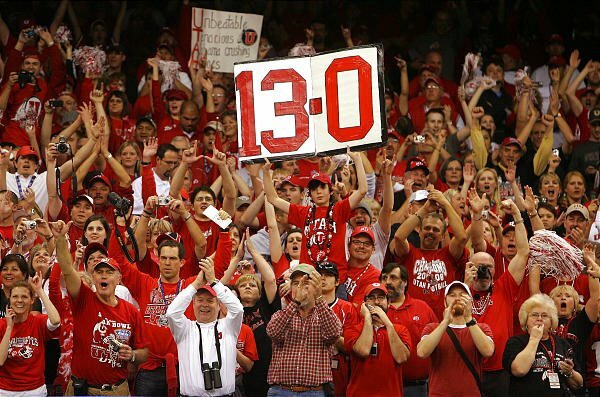 It sure is a good time to be a Utah fan. I got a few more pictures from a coworker and thought they were pretty funny. Hope you enjoy them.